There is a lot to see in South Africa. 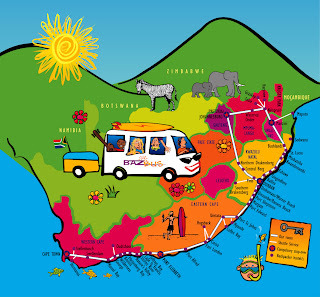 In order to easily access some of it's highlights, we have decided to book a 21-day pass on the Baz Bus. 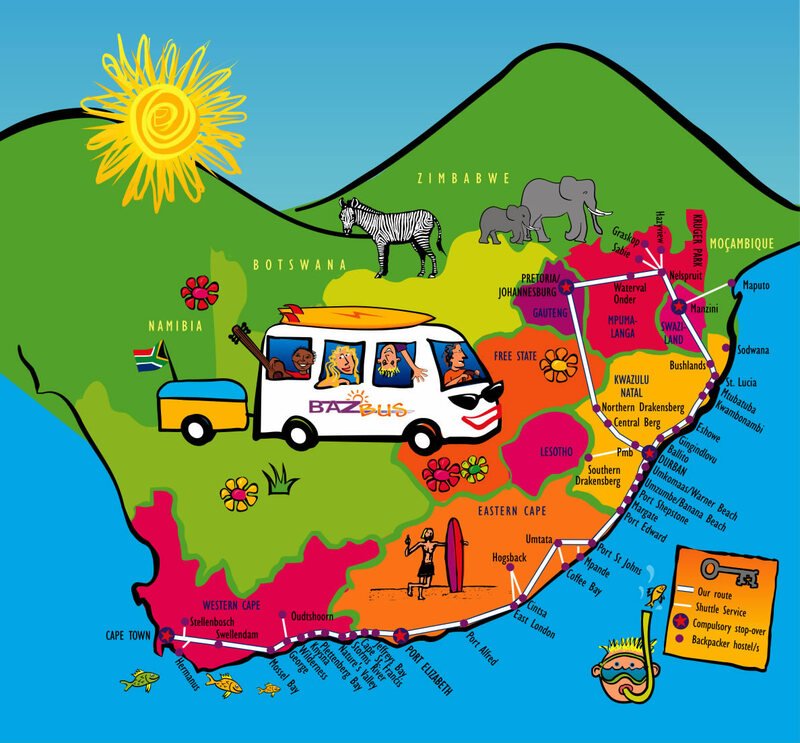 Connecting Cape Town and Johannesburg via various routes, it's probably the most popular way to get around South Africa. They provide door-to-door service at quality hostels along the way, and you hop on/off wherever you please. It's a pricier option than creating our own route on regular buses, but we're getting pretty tired of creating anything these days and welcome a few mindless weeks. I hope to post an entry for each stop we decide to make. And we're off!